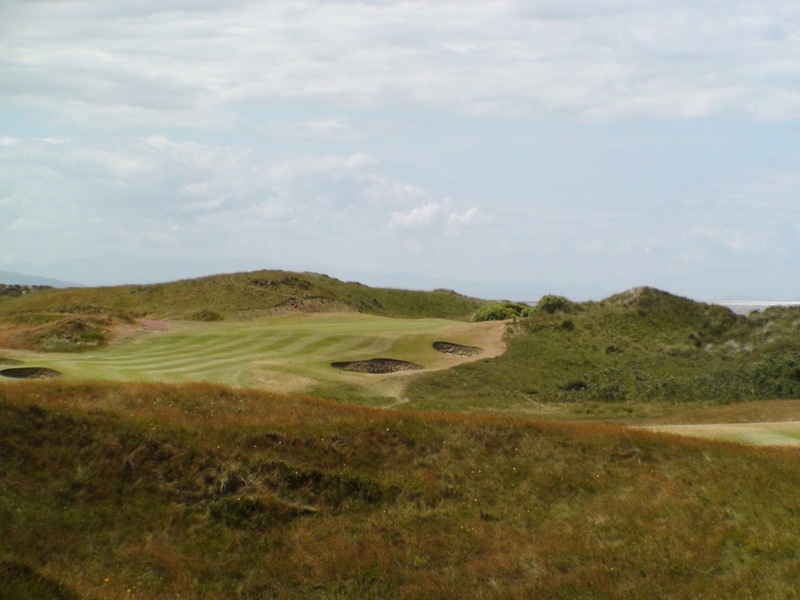 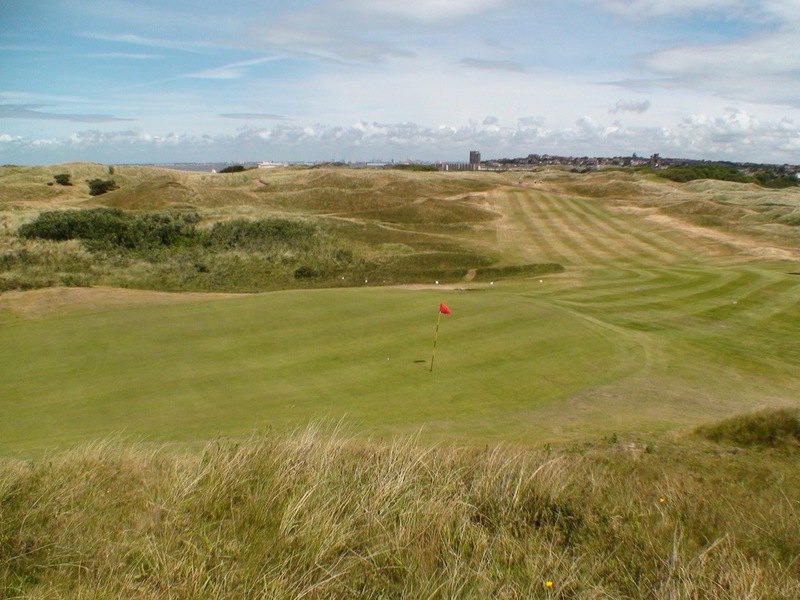 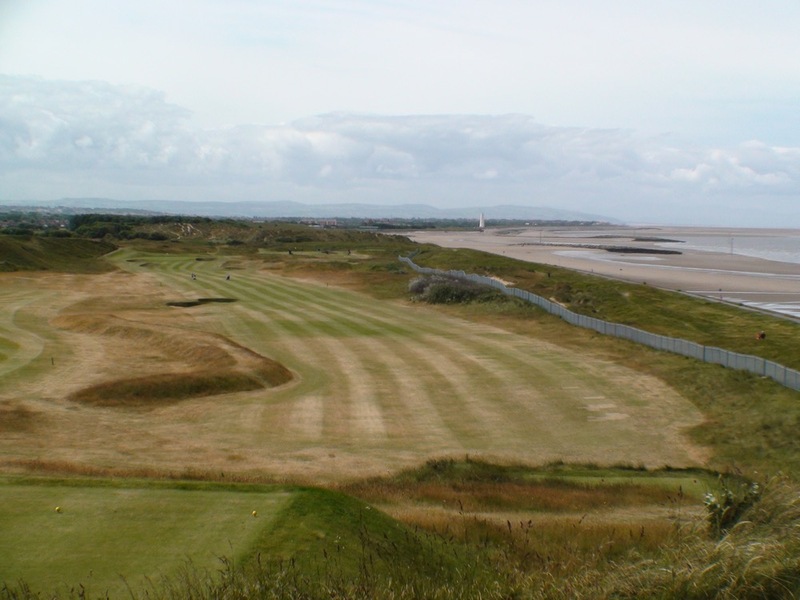 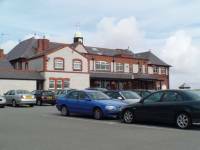 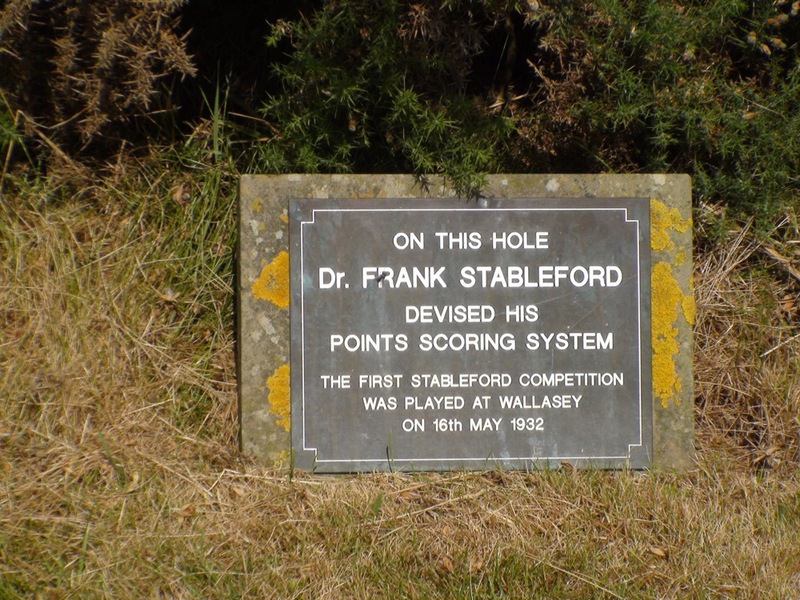 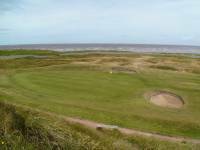 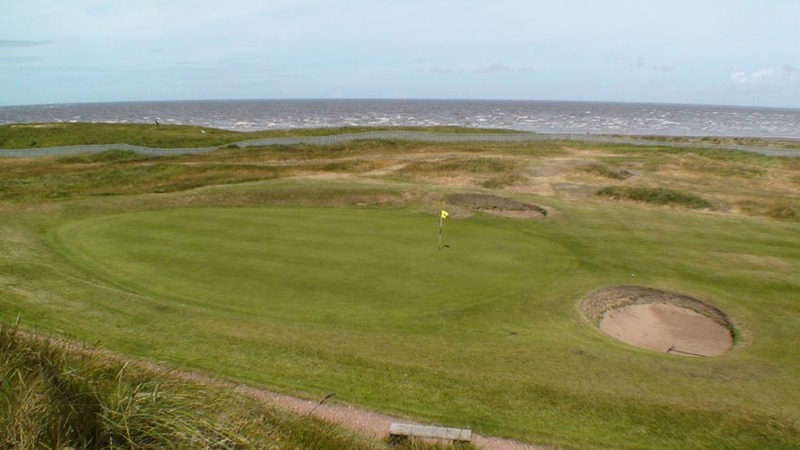 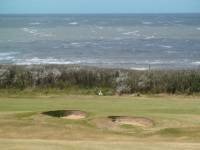 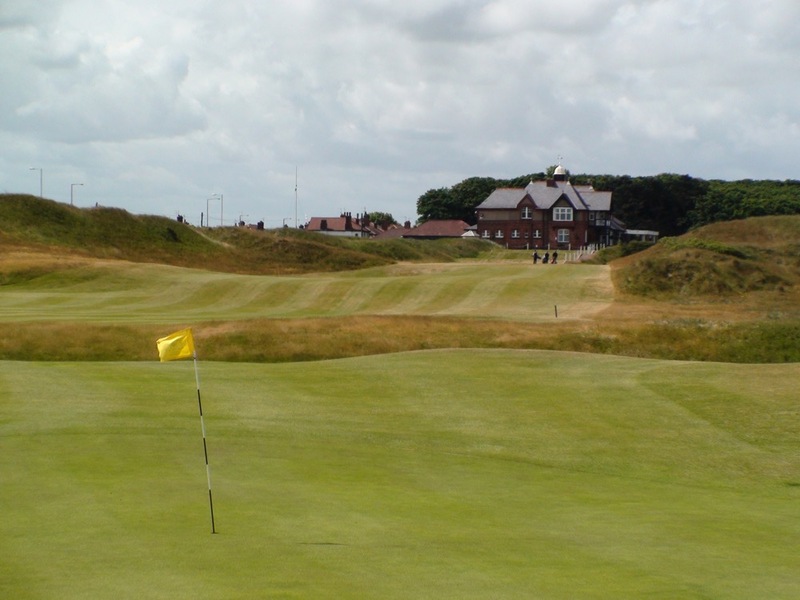 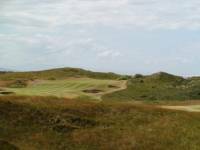 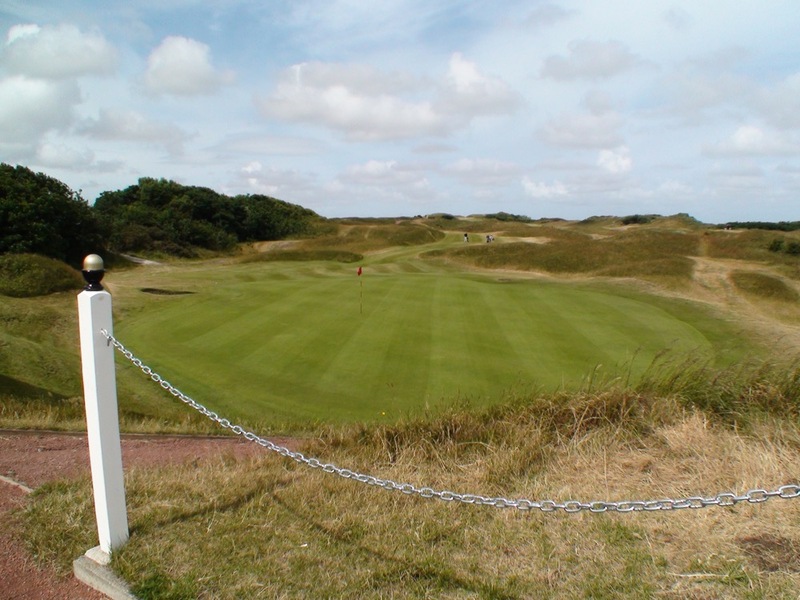 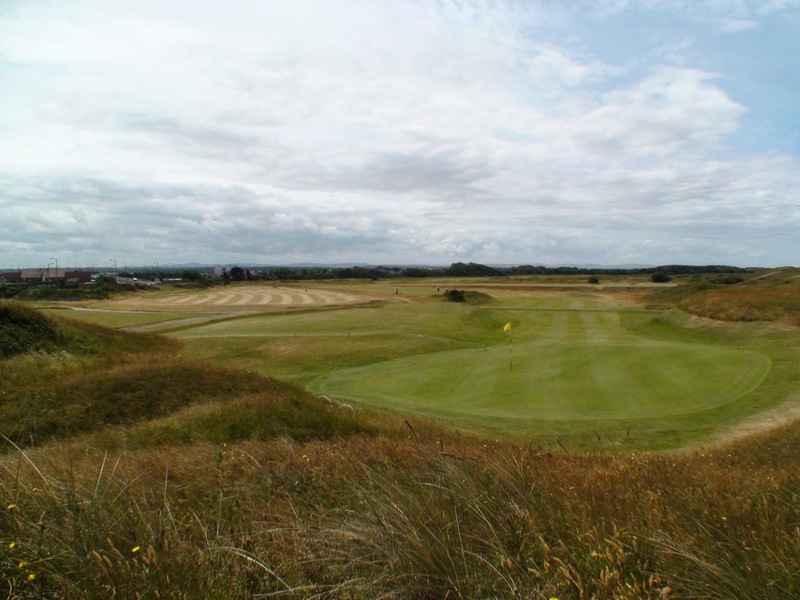 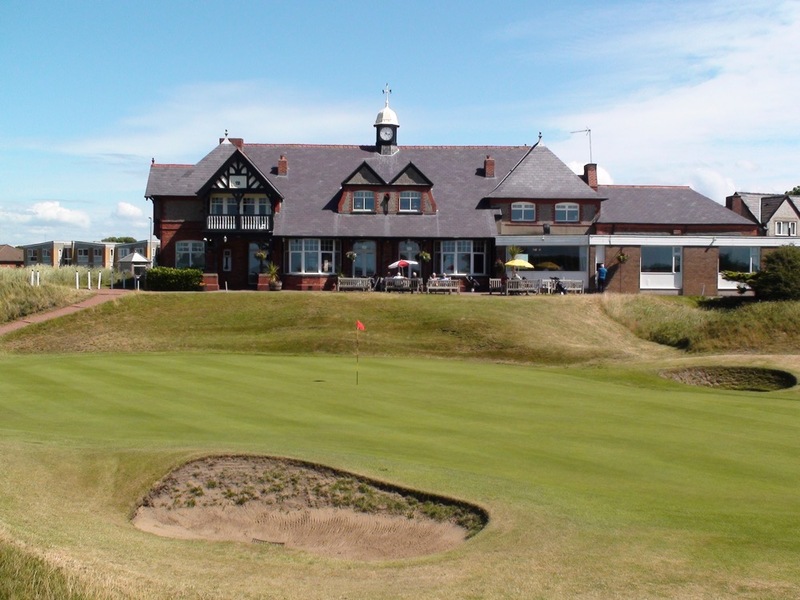 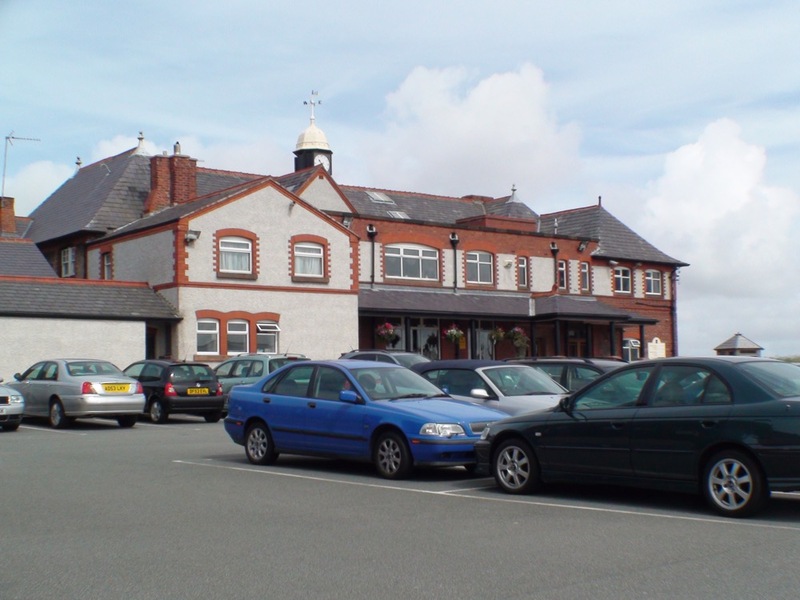 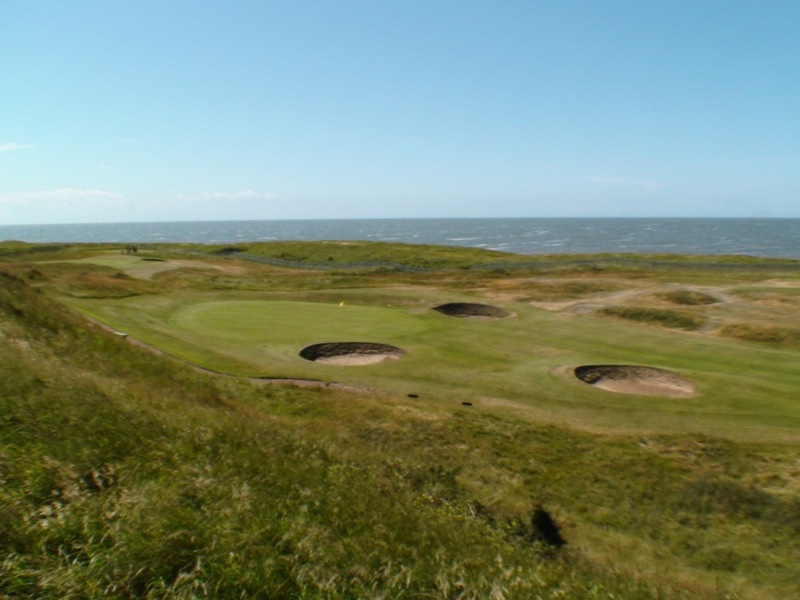 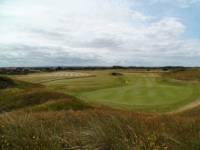 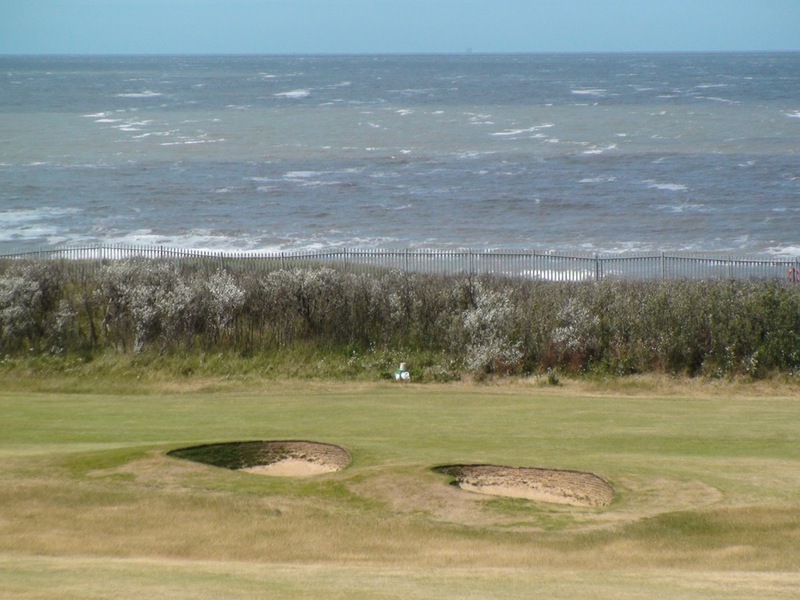 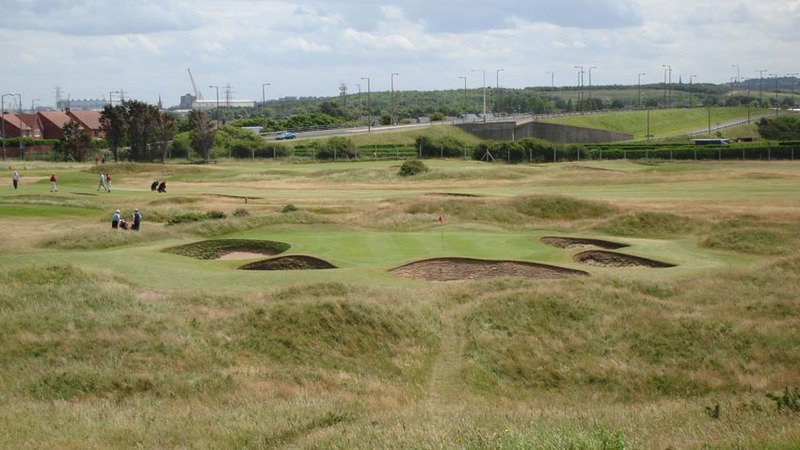 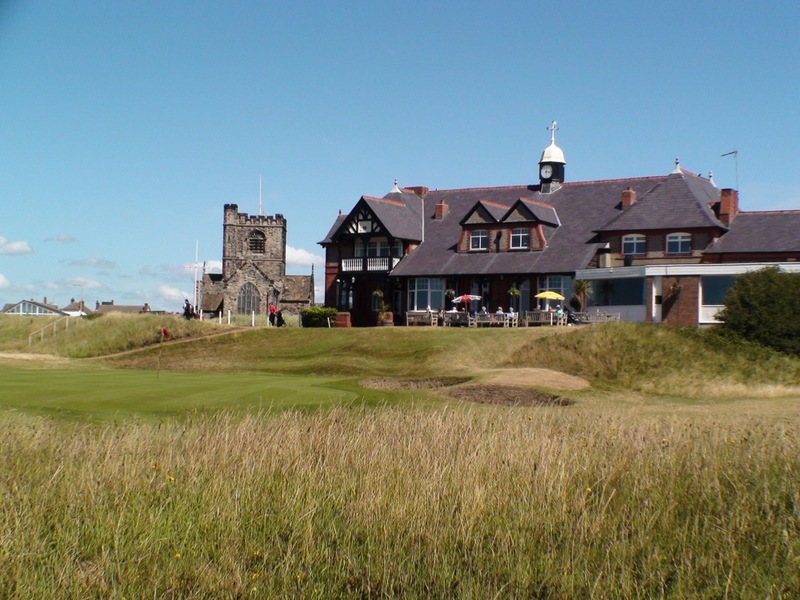 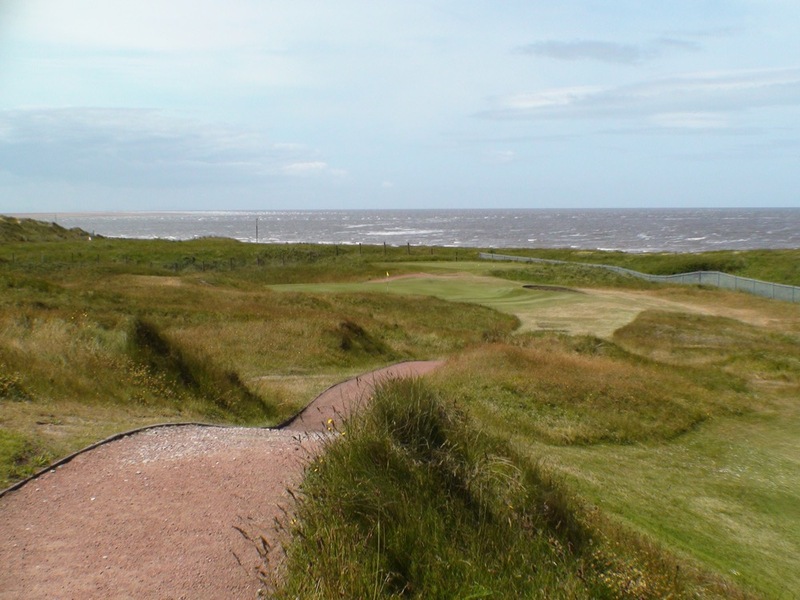 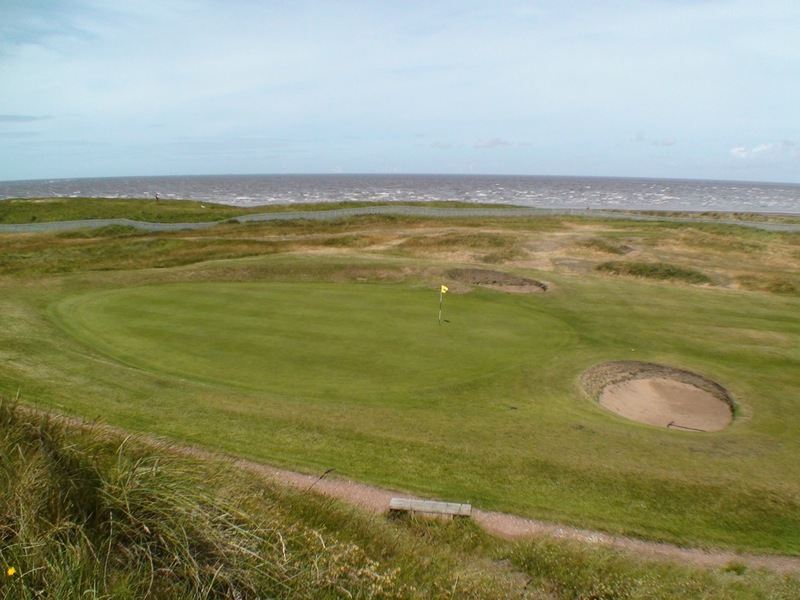 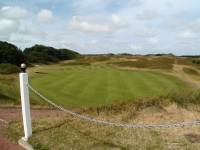 Wallasey Golf Club on England’s Wirral Peninsula is most famous for being the “Home of Stableford”, because this is where Dr. Frank Stableford first conceived the popular scoring format and Wallasey Golf Club is where the first Stableford competition was played back in 1932. 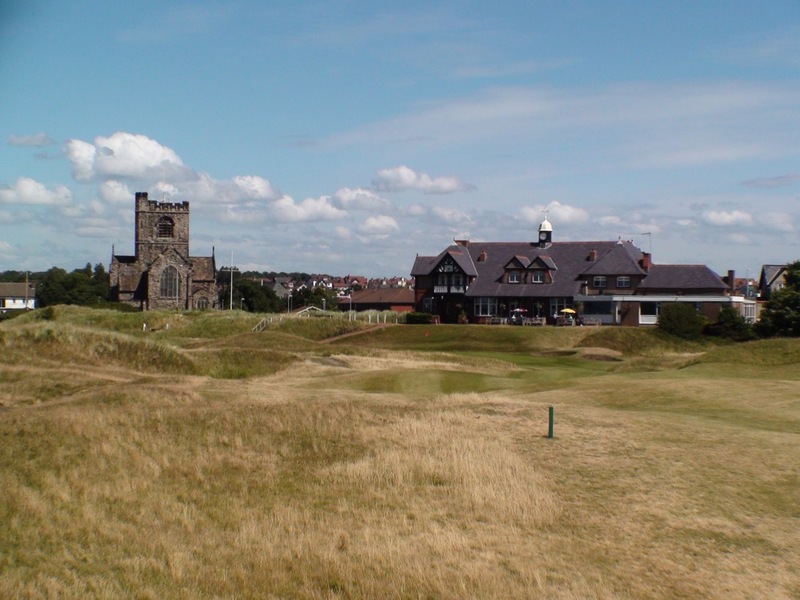 And though we certainly celebrate the invention of Stableford, be-cause (whispering to slower players here) it allows you to “pick up” and still be in the competition, it is a bit of an injustice to Wallasey Golf Club that the invent of Stableford somewhat overshadows Wallasey’s terrific seaside links course. 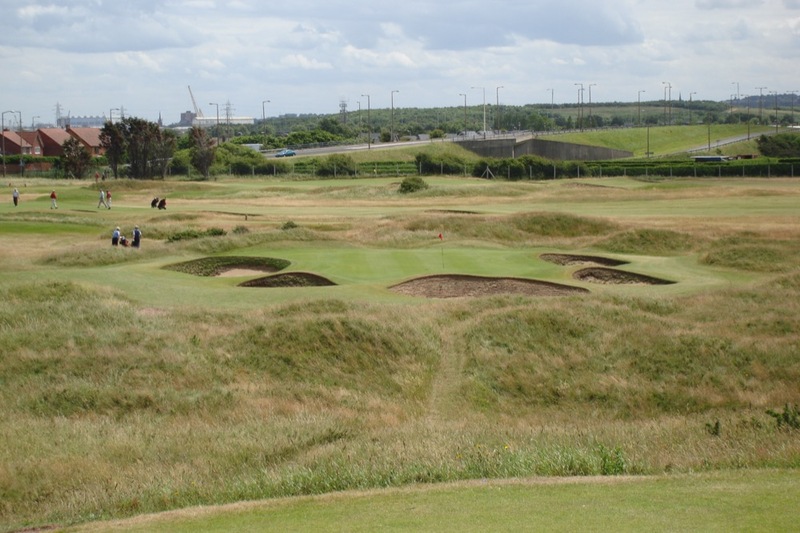 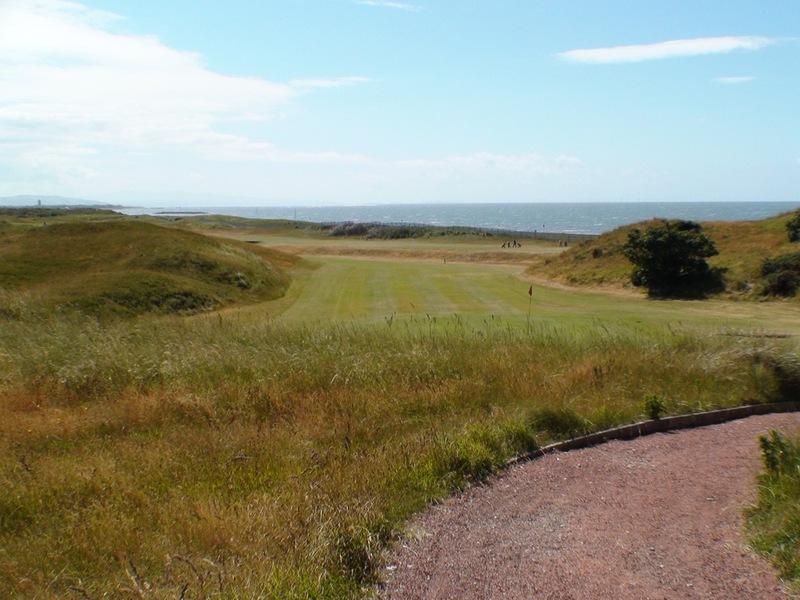 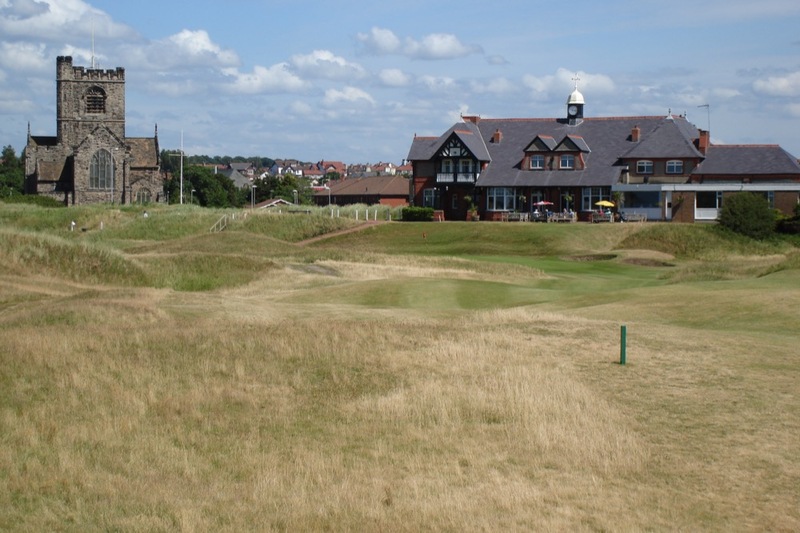 Wallasey is challeng-ing with tough bunkering and false fronts and narrow fairways and this presents itself right from the first. 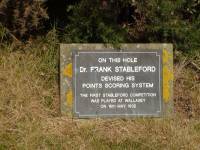 In fact, Stableford first crossed Dr. Stableford’s mind while standing on the 2nd tee and our guess is that he failed to carry the false front on the first, took a few to get out of the deep bunker, and then proceeded to #2 already out of contention. 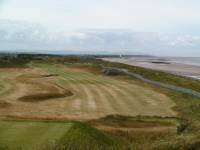 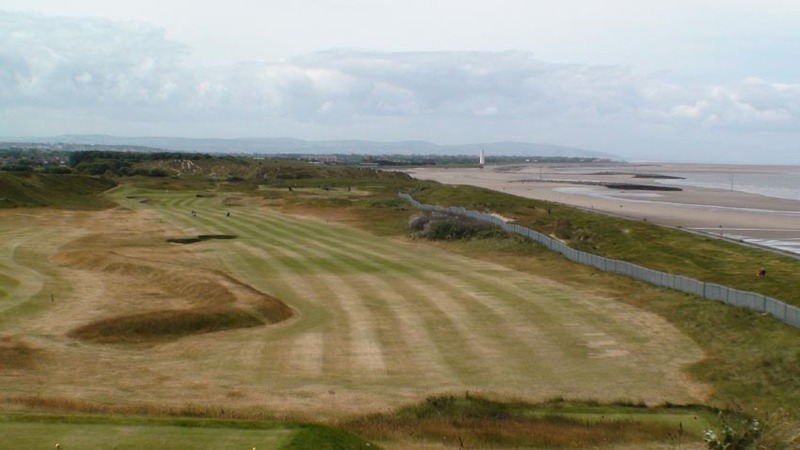 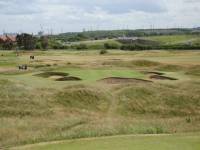 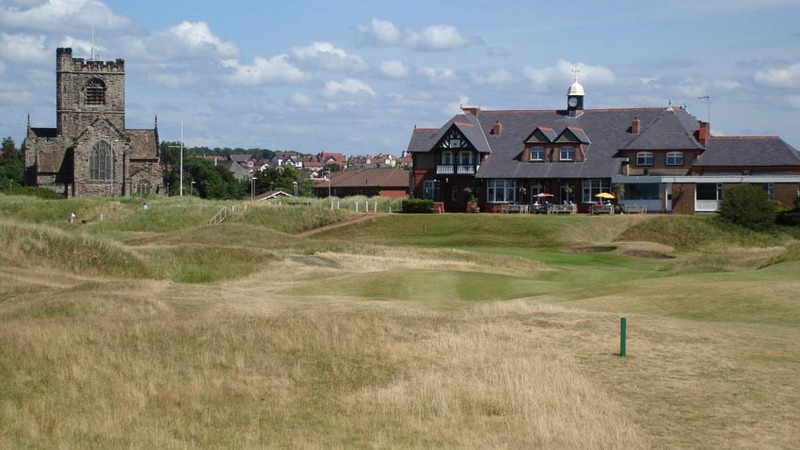 Wallasey Golf Club even conjures up the “cops” at nearby Hoylake (Royal Liverpool Golf Club) because the 8th hole here doglegs around the practice ground, which is out-of-bounds and just as controversial at Wallasey as it is at Hoylake. 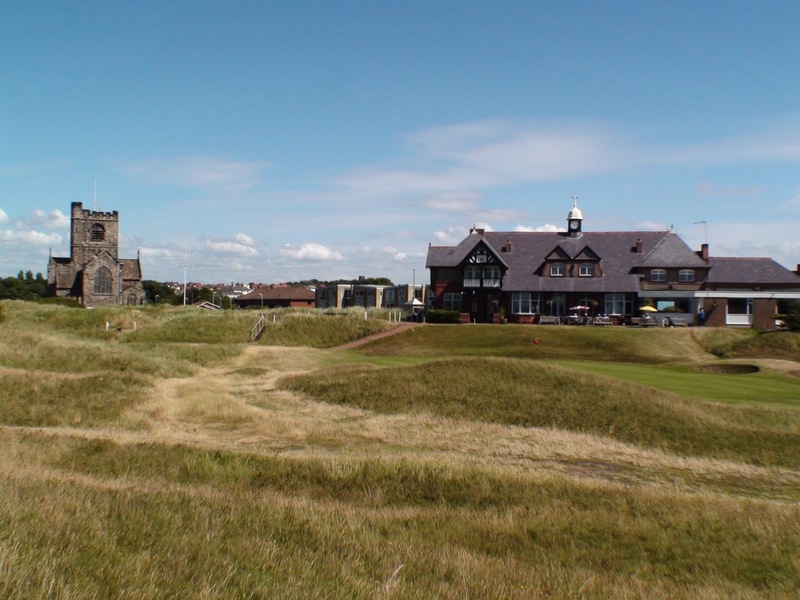 Wallasey Golf Club is also very exciting especially the high tee shot on the par-5 4th, launched down to sea level to a huge double fairway with the beautiful beach to the right, followed by the par-3 5th which is a true “Sea Hole” heading right towards the sea that can play anywhere from a wedge to a driver depending on the wind. 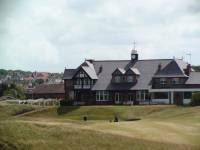 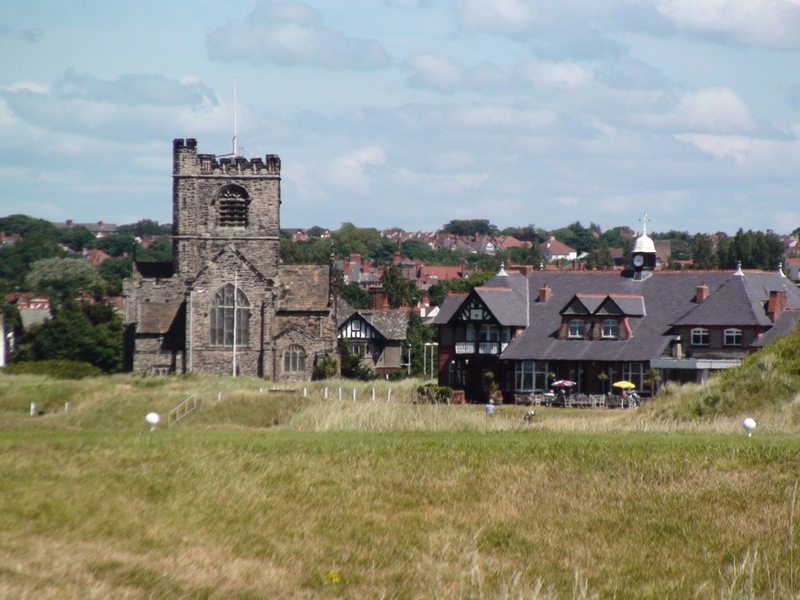 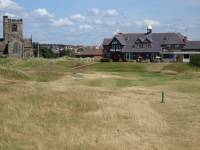 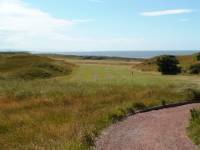 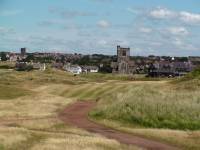 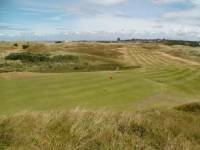 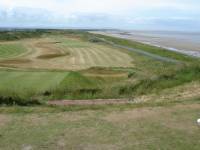 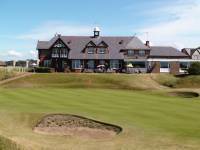 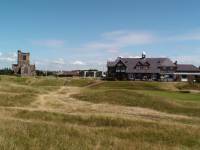 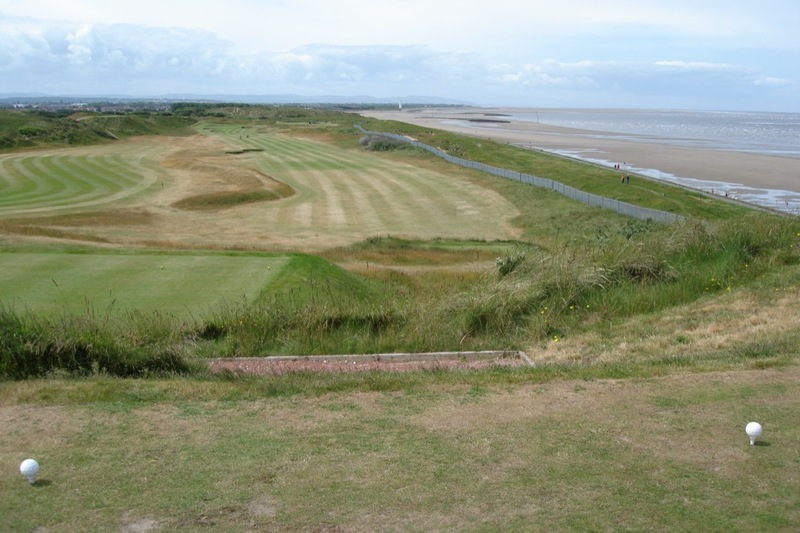 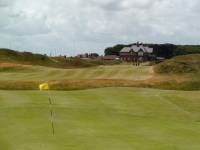 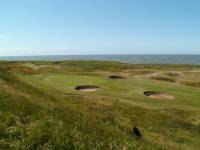 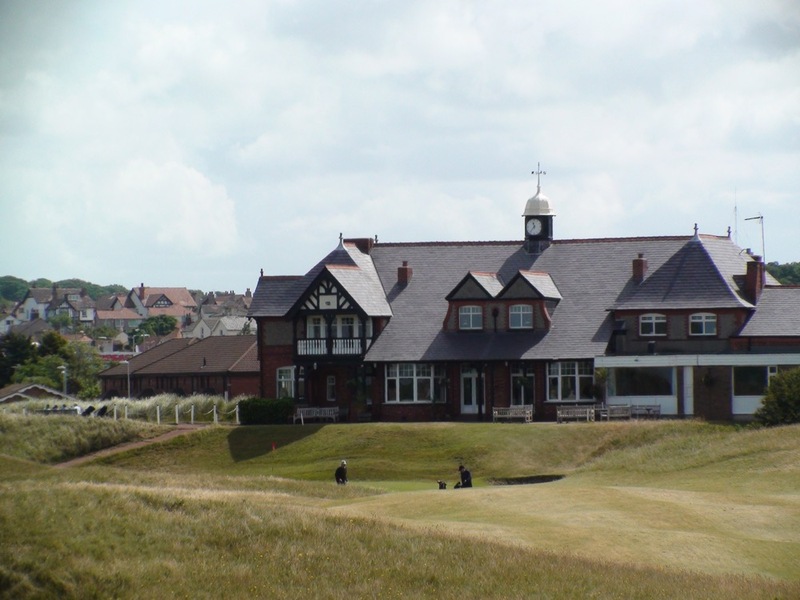 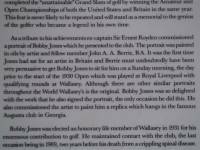 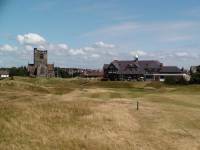 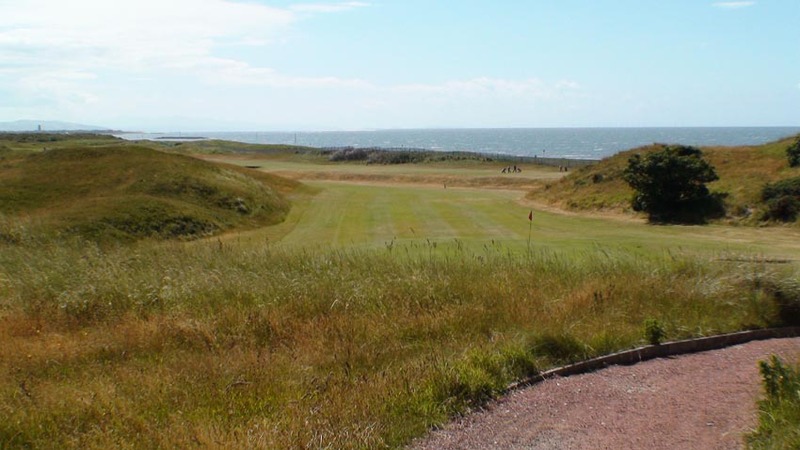 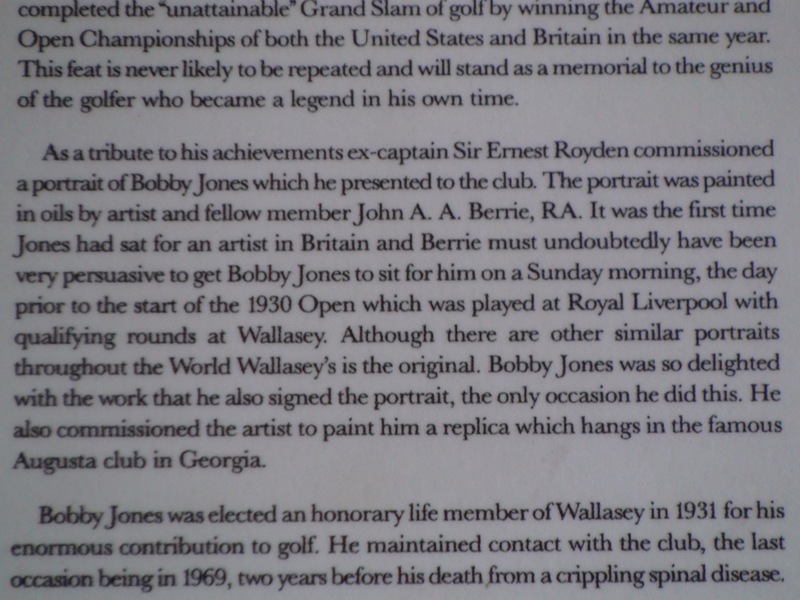 Wallasey Golf Club sadly is passed by all too often by golfers on their way to Hoylake. 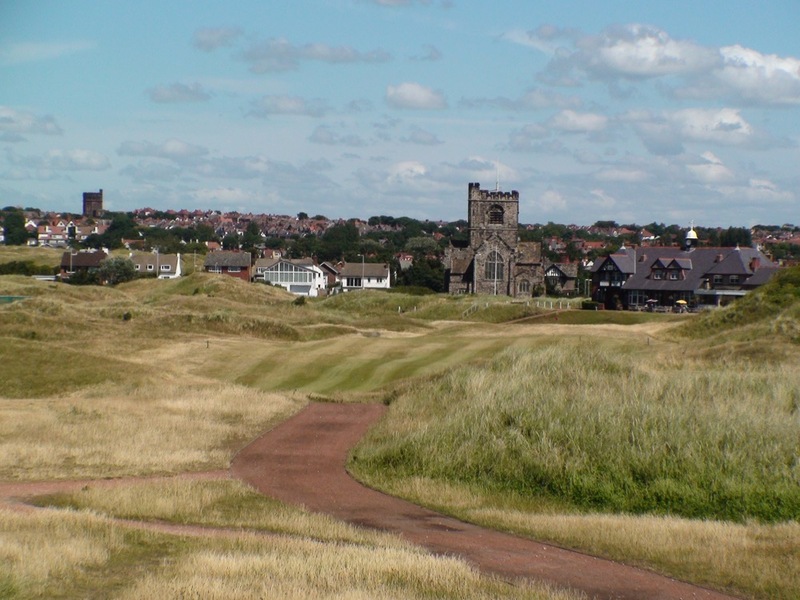 Don’t make that same mistake and don’t go home without playing a little bit of Stableford at Wallasey!